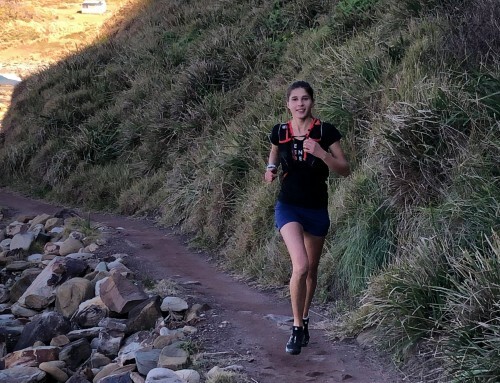 As with so many other personal interests that take a backseat when you become a parent, running wasn’t something I was finding much time for a few years ago. At our peak fitness pre-kids, my husband Lindsay and I were running regularly and had completed a few half marathons, but other priorities had taken over, and then in 2017 something happened to completely steal our focus. I’d given birth to a beautiful boy whom we named Huon (nicknamed Huey), but at just 10 weeks of age, he was diagnosed with a rare solid tumour called neuroblastoma. We were absolutely blindsided, not knowing much at the time about childhood cancer, and what followed was a grueling eight rounds of chemotherapy, regular MRI scans and countless blood transfusions for our little guy. 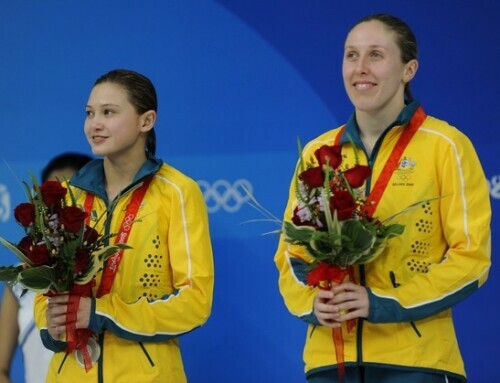 During that time we came across the small Sydney-based charity Neuroblastoma Australia. 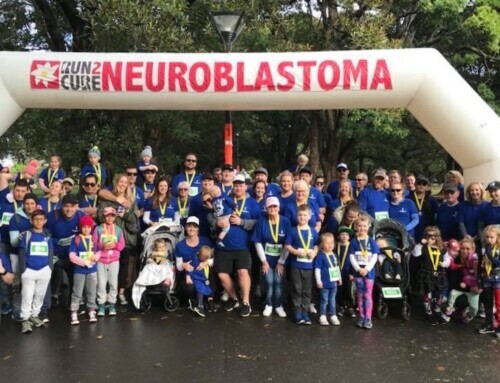 Its founder and CEO Lucy Jones had established a network of parents going through similar experiences, as well as established the hugely successful fundraising event, the Run2Cure Neuroblastoma race. Suddenly, we had a big motivation to run again. The event offers five different distances and we promptly signed up for the 10km distance. Our hugely supportive network of friends, family and colleagues joined Team Huey and began fundraising for the cause. Training in the lead up gave us a good chance to clear our heads during what was a very stressful time. By the time of the event in June, we had a team of 227 individuals, including 20 who committed to run the 10km distance with Lindsay and me! Lindsay’s boss from SAVCON donated Team Huey t-shirts for everyone to wear and event organisers provided us with our own gazebo as there were so many of us! We had collectively raised $25,000 for neuroblastoma research and we were overwhelmed by the support. Having a child diagnosed with cancer is very isolating, but having everyone rally around us for the Run2Cure was fantastic! In December 2018 Huey continued to show improvement at his three monthly check up and is currently doing well. We have endured so much as a family and we don’t want other families to suffer from this cancer. That’s why we’ll be running again in the Run2Cure on Sunday 2 June and fundraising for the important research, which we hope will lead to better outcomes for sufferers. 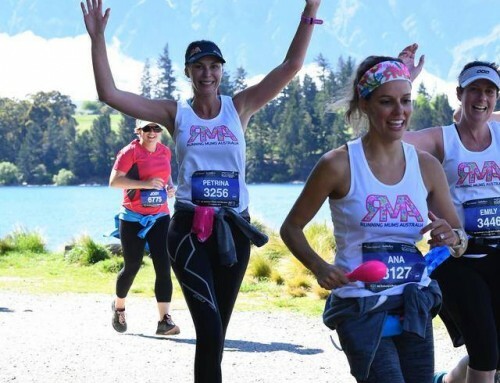 I encourage as many Running Mums as possible to join us! Neuroblastoma is the most common solid tumour of childhood, with only a 50% survival rate for those diagnosed with the aggressive version. More funding and more research are vital to improve these statistics. The Run2Cure is open to everyone and is held in the beautiful Domain and Botanic Gardens in Sydney. It’s a very family friendly event, with children’s entertainers on stage, the Taronga Zoomobile, obstacle courses, bubble soccer, climbing wall and prizes for kids who dress up as superheroes. This year organisers are expecting more than 6,000 participants. For runners, the 3km, 5km and 10km distances are timed, with medals awarded to all participants and great prizes for place-getters. To register visit www.run2cure.org.au. 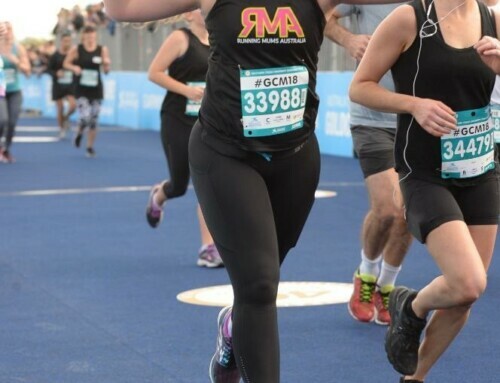 Early bird pricing finishes on the 12thApril and Running Mums get an additional 10% discount when using the code RMA10.